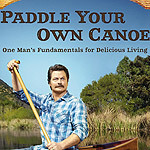 Best known for playing Ron Swanson on Parks and Recreation, Offerman talks childhood (he grew up “literally in the middle of a cornfield” in Minooka, Illinois), his early days in the business, and the spectacular seduction of his now-wife, actress Megan Mullally. And let’s not forget the pointers for growing a glorious moustache. Published in conjunction with an exhibition at the Victoria and Albert Museum in London, this tome celebrates the costume designer’s contribution to Hollywood history. Essays from scholars, archivists, and collectors (among others) enrich images of costumes from the past 100 years of film. A gifted songwriter of the ‘90s, L.A. transplant Elliot Smith suffered from drug abuse and depression. One hundred and fifty hours of interviews with friends, family, lovers and bandmates sheds light on Smith’s life and career as well as his untimely and brutal death in 2003. In this second volume of fiction (the first, Stories, was published in 1998), 14 of the esteemed writer’s never-published works appear alongside 44 other pieces from three recent collections. Written over the last 18 years, readers can expect to find everything from Boyle’s classic tall tales to contemporary pieces on air rage. Cult fans of failed film The Room will love this history of “the Citizen Kane of bad movies.” As an actor in the trenches with writer, producer, and director Tommy Wiseau, Sestero explains the innumerable ways Wiseau defied the laws of the business. The first volume of Twain’s life was published in 2010 on the centennial of his death (as he requested). This second installment gives readers candid access to the inner-workings of Twain’s public and private worlds, as if the famed author were writing directly from the grave. In this new tome, the #1 bestselling author of The Tipping Point, Blink, Outliers, and What The Dog Saw challenges the ways in which we think about obstacles and disadvantages. If a shepherd boy could slay a giant, then why can’t we?